New York City is filled to the brim with art in many mediums. There’s a dense history of visual art and architecture. No matter where you turn, there is innovation and creation. 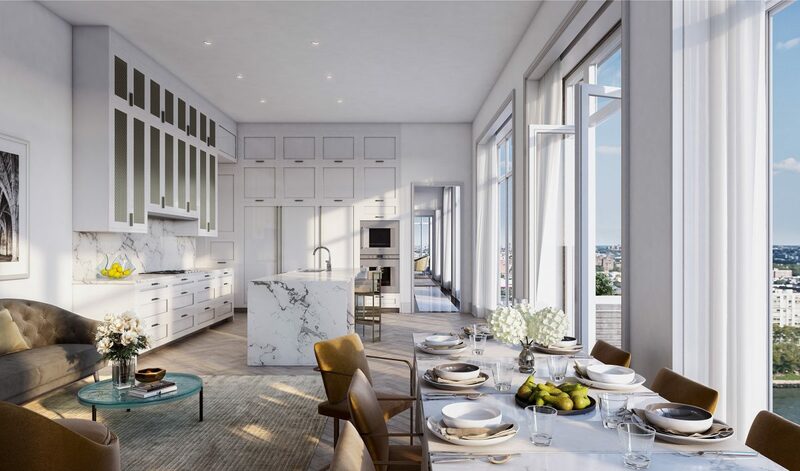 It’s a world of people who have been doing amazing things for many years, and you can experience as much of it as possible along Museum Mile when you live in one of the Upper East Side condos at 40 East End. In particular, one annual event each June is a must-see for any who are lucky enough to be in the area. Join in the thrilling journey of the Museum Mile Festival. What is the Museum Mile Festival? The Museum Mile is actually an official term. New York City has designated the area of iconic Fifth Avenue, from 82nd to 105th St. with the spectacular name due to the overwhelming number of highly-trafficked museums. There are multiple museums on almost every block of this section of Fifth Avenue. Visitors naturally go from one to the other, which helped lead into the Museum Mile Festival. On a special day, usually in June, visitors can flock to all participating museums on Museum Mile for free for a short period of time. One after the other, all museums entrances are free to any visitor who wants to immerse themselves in the rich culture of Museum Mile. Whether you are visiting from afar or staying at one of the nearby luxury New York City condominiums, a visit is always worthwhile. During the financial crisis of the 1970’s, New York city museum curators sought to draw traffic to the region and to promote the arts. They collectively agreed to open the doors to everyone, bringing down the curtain of museum culture. It drew an astounding audience, from Harlem to the Village, the outer-boroughs to the whole of the northeast U.S. The Museum Mile Festival became a major event for Upper East Side. Although with its regular fans, the event draws many to Upper East Side for the very first time. Even with no previous knowledge of NYC art, visitors leave with a rich understanding of it and the city’s culture. Visit any of the many participating NYC museums right from nearby Upper East Side condos. Roughly 6-9 different museums participate annually, all within a few blocks of each other. Museums which often participate include the Jewish Museum, the Solomon R. Guggenheim, and the Museum of the City of New York. Perhaps the biggest inclusion to the Museum Mile Festival is the grand Metropolitan Museum of Art. There’s over two million works of art across 17 different departments and a multitude of mediums. It’s a vast collection, and one that can provide a truly life-changing perspective on New York City art. This stop alone could be worth the trip to Upper East Side, but it’s the other participating museums that take it well over the edge. 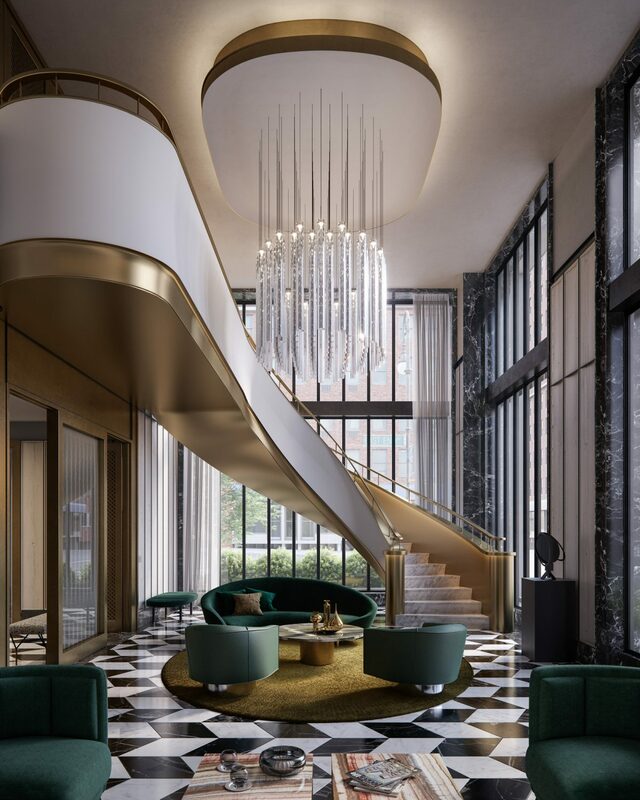 Now, not far from our Upper East Side condos at 40 East End, you can experience the artistic range of New York City all in one pivotal strip of Fifth Avenue. 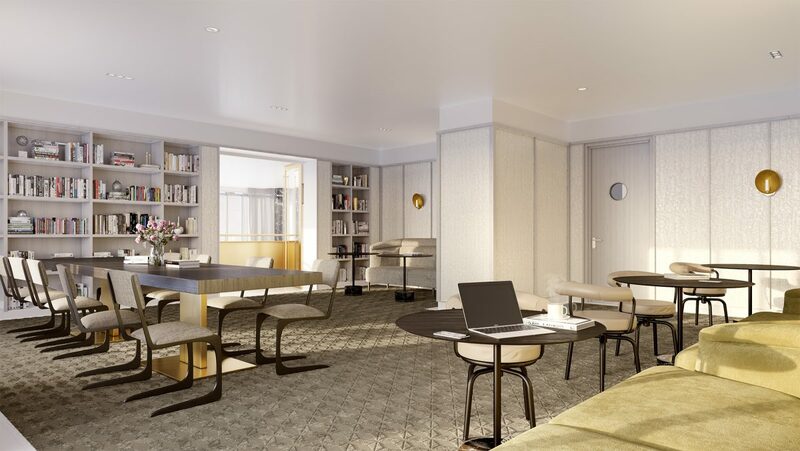 Our luxury New York City condominiums at 40 East End are synonymous with the art scene in Manhattan. Located on the borough’s Upper East Side, where era-spanning fine art reigns supreme, our residences neighbor some of the most renowned museums in the world. One of these is The Guggenheim, famous for its Manet, Gaugin, Kandinsky, and many works of abstract art. The Guggenheim began as a private collection and turned into a public museum in the mid-1990s. It was originally known as The Museum of Non-Objective Art, an ode to its founder’s love for the shapes, colors, and forms that come together on the canvas, creating abstract paintings. Today, the institution is an essential part of the New York lifestyle, attracting art lovers from Upper East Side condominiums, downtown high-rises, and the surrounding boroughs. The Guggenheim’s permanent collection is home to a large selection of modernist masterpieces. This collection is the centerpiece of Upper East Side art, with influences from 20th century Europe and Russia. Many of the works in this collection were selected by Solomon R. Guggenheim himself, the museum’s founder and namesake. The founding collection includes about 600 works that were gifted to the museum by the owner. Other exhibits include the works of the entire collection of a New York art dealer, a display of post-war abstract art, and the Bohen Foundation Gift, which features about 275 film, photo, and other new media works. Keeping up with the Joneses, the Guggenheim now has its very own app. From here, you can plug into self-guided audio tours and other regular programming. While the art might be the meat of the Guggenheim, there are plenty of side attractions to go with it. This institution evades its role as museum, and into its role as education center, cinema, theater. Go to a concert, see a live orchestra, and or view a film screening – all at the Guggenheim, less than 10 blocks from our Upper East Side condominium. On the weekend, The Guggenheim offers Saturday sketch classes for both adults and children. The Guggenheim’s restaurants are so good, you’ll want to visit this museum just for the food. Café 3 serves light lunches and snacks just big enough to tide you over until dinner. Grab a cappuccino and a pastry, or enjoy one of the many fresh sandwiches and salads they offer. If you’re keen to sit down, dine at The Wright, a weekend-only all-American brunch spot that will satisfy your craving for breakfast – just a little later in the day. Our luxury New York City condominiums at 40 East End are perfect for both seasoned museum-goers and those new to the arts. Art and culture are one of the main draws to Upper East Side condominiums, where you can be at eye-level with some of the world’ finest paintings in no time flat. Museum Mile along Fifth Avenue is located near 40 East End’s luxury New York East side condos and is home to some of the most impressive and important museums in the world, including the Museum of the City of New York. With its grand holiday parties, and explorations of what’s happening right now through the lens of the past, the Museum of the City of New York unabashedly celebrates all that makes NYC culture and art so essential. The museum is, for the most part, an ode to New York City culture. This is defined with the New York at its Core permanent exhibition, which was opened in November of 2016 and took 5 years of planning and $10 million. This portion of the museum collects photographs, statues, art, memorabilia, handwritten notes, and so much more, to create a captivating and extensive history of New York City. It begins with the small Dutch village that started it all and continues with the mass arrival of influential residents from many countries who each contributed to the bustling metropolis NYC is today. The exhibition showcases artifacts and images to create a pictorial celebration of virtually everything that made NYC the “Capital of the World” in the last 200 years. Many art and history enthusiasts living in East Side condos have visited the exhibition for its unique exploration of innovation and capturing of the human energy that defined how NYC became a city unlike anything else. A third of the space of the 8,000 foot exhibition is dedicated to the future of NYC. The Museum of the City of New York near our luxury New York condos has the consistent theme of allowing us to view the present through the past, and this is clearly reflected in the Rebel Women showcase. For the remainder of 2018, the hall takes true stories of female New York City rebels and supports to the argument that they were the real leaders. 19th century New York was one of the first destinations in which women made major strides against gender oppression. Though the war against repression was being fought in many regions, New York City was home to a brilliant and grand female uprising decades before the rest of the world. Female activists would speak in public, hold meetings, wear non-Victorian and racy clothing, and invest. The hall features garments, photographs, and audio recordings to bring these stories to life. This temporary exhibit is complemented by the Stanley Kubrick Photographic Lens showcase as well as the Germ City exhibition hall until April 2019. Germ City looks at the crossroads between microbes and people in the world’s busiest metropolis. Aside from these temporary exhibits, you can always find some inspiring museum additions, including a suit worn at George Washington’s Inaugural Ball, manuscripts from Eugene O’Neill, and over 400 glass negatives from the master documentarian, Jacob Riis. The museum was founded in 1923 and features about 190,000 different objects on average. Adults are $18, seniors and students are $12, and under 19 is free. It is open every day from 10 a.m. to 6 p.m. This collection comprehensively covers science, fashion, history, and art from New York City. This museum near 40 East End’s luxury New York condos is where these worlds collide in perfection, all through the empowering and poignant lens of New York City. The Upper East Side has long been known for its distinct classiness and for being a top residential destination for NYC’s wealthy and elite. Although many think of the neighborhood’s old money image and quiet, conservative charm when the name is mentioned, there is much more to it than that. It’s where residents enjoy long-running casual to fine dining culinary establishments that rival the best in other boroughs and the thriving art culture of Museum Mile. 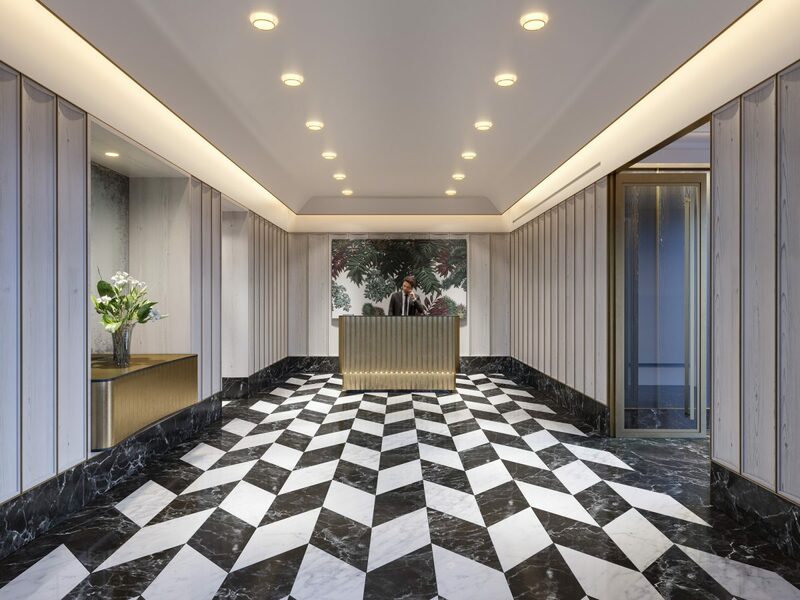 A trendy youth-driven renaissance is also occurring in the eastern side of the neighborhood where the Upper East Side condominiums at 40 East End are located. There is a lot to explore and love in this famous urban expanse. Although First and Second Avenue are often bustling with activity due to the large concentration of restaurants, bistros, coffee shops and sports bars, there is a calmer, quieter and more reserved vibe along many of the tree lined residential streets, providing some much-needed relief from the bustle. The luxury Manhattan condos in the neighborhood offer the balance of being within a close destination of some of Manhattan’s most coveted attractions, from the Guggenheim to Central Park, while also offering access to well-maintained clean sidewalks, lovely historic architecture and manicured greenery. This calmer ambiance offers a desirable residential destination for young professionals, influencers, artists, entrepreneurs and others who seeking something a little different from the typical fast paced New York lifestyle. There’s something unique about entering one of the long-running restaurants that have helped to shape the Upper East Side into what it is today – such as the Heidelberg Restaurant or Schaller & Weber in Yorkville. This pair of restaurants still stand as a distinct representation of the German influence on Yorkville and are one of the top places to enjoy authentic cuisine from the country including bratwurst, house-made pates, pretzels, mustards, cold cuts and more. Newer destinations such as Boqueria Spanish Tapas Bar provide modern European flair, offering Catalan cuisine made with seasonal local ingredients and the creativity of passionate chefs like Marc Vidal. Here is where you can capture the vibrant energy of a Spanish tapas bar with perfectly made small plates covering Pintxo de Carne (steak skewers, hazelnut romesco, salse verde) to homemade chorizo, Colorado lamb meatballs and rotating happy hour specials. This of course is just a small sampling of the impressive variety of old-school and newer culinary establishments that can be found right outside the door of Upper East Side condominiums. Outside of the nearly endless foodie exploration to be had on the Upper East Side, Museum Mile is home to some of the most sought-after art destinations in the city, including the MoMA, Guggenheim, Otto H. Kahn House, the Jewish Museum and more. Many other lesser known art establishments are just minutes from 40 East End’s Upper East Side condominiums. 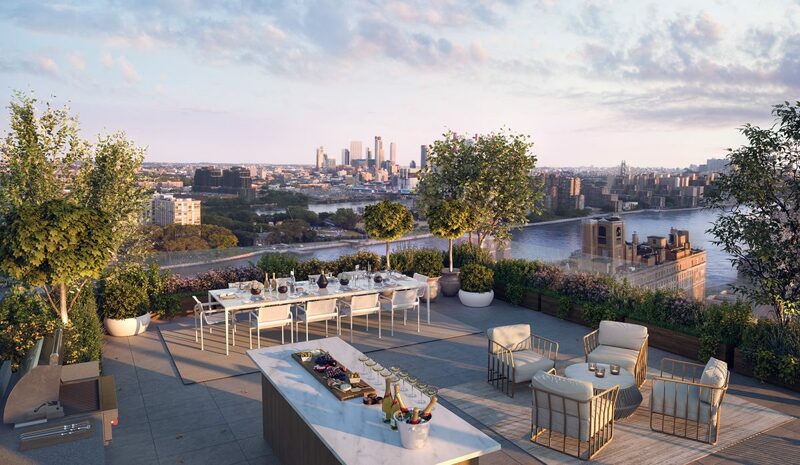 See why so many people from all walks of life have decided on making 40 East End their new home on the Upper East Side and Contact Us today for more details on condominium availability. 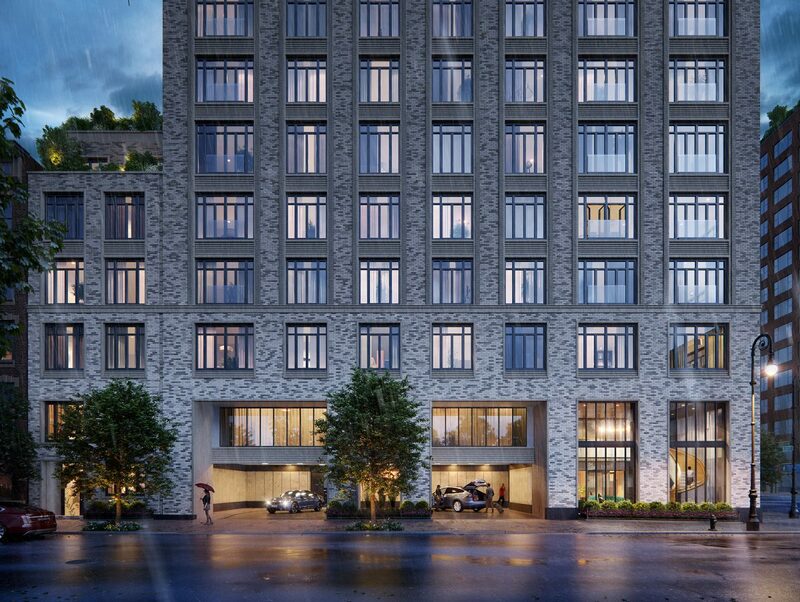 The Upper East Side condos at 40 East End come with many exclusive benefits, including convenient access to the inspirational museums of Museum Mile, especially the Jewish Museum. Since 1947, the Jewish Museum has stood as a proud representation of Jewish ancestry with a grandness and extensive set of exhibits that can’t be found elsewhere. Located near our luxury Manhattan condos on the Upper East Side, this museum is the quintessential destination for anyone seeking to learn more about Jewish history and see a wide variety of exclusive exhibits and artifacts. Spanning four millennia, a vast multitude of artistic disciplines, and authenticated stories from generation-defining leaders, the museum is arguably the most definitive collection of Jewish history in the world. What Can You Find in the Museum? The Jewish Museum collects a wide assortment of artifacts and other items. The bulk of the collection features fine art from Jewish masters dating back centuries. Broadcasted media, ceremonial objects, informative videos, photographs, manuscripts, kitchenware, books, and more capture a long history of the Jewish people. The museum doesn’t hold back in how far back it will go to cover Jewish art culture. It captures historic documents dating back to the earliest recorded histories of Judaism, and up to the present-day status of Jewish culture in New York City. The vast extent of the collection makes it an ideal stop for those living in Upper East Side condos as well as travelers from other boroughs. Some highlights include work by Andy Warhol and Amedeo Modigliani. You can find special and hand-selected collections of Jewish masters discovering, refining, and defining their oeuvre. The curators make sure to represent Jewish culture from various countries and time periods. For example, the Archaeology Zone looks at the world over 5,000 years ago, and how the earliest documentation helped shape playgrounds, palaces, and cities of history. The Chagall, Lissitzky, Malevich exhibit takes a focused look at Russian avant-garde masters in the early 20th century. The specificity of the exhibit is one of the museum’s defining traits. The Scenes from the Collection exhibit is the current main showcase, and it is expected to continue for years to come. The entire third floor encompasses about 600 works, from classic antiquities to modern works of art. It represents the parallels between Judaism 4,000 years ago and how it is represented today. Visitors can reshape their own perspective and receive a broad look at the spirituality, both changed and unchanged, across the millennia. Some rooms will change annually, but the core of the floor will remain the same celebration of Jewish history and art. The official website for the museum states a collection spanning 4,000 years and over 30,000 items. About 4,000 of these items can be reviewed on the museum website. The museum is located at 1109 5th Ave & E 92nd St, just a few minutes from our luxury Manhattan condos. The cost is $18 for adults and $12 for seniors. Children 18 and under are free. No place in the city, and perhaps the world, more definitely spans the entire spectrum of the cultural influence of the Jewish people with such a careful eye. Visit the Jewish Museum for one of the most vibrant and awe-inspiring concentrations of art collections that can be found near 40 East End’s Upper East Side condos. It isn’t widely known, but right outside the Upper East Side condos at 40 East End are some of NYC’s most spectacular modern Mediterranean restaurants. Culinary enthusiasts can seek out authentic Middle Eastern, inspiring Italian, and delectable Greek food all within a few definitive blocks. Below are three top Upper East Side Mediterranean restaurants that deliver ambitious dishes that impressively represent one of the world’s most popular cuisines – each a gem worthy of exploration for travelers and those living in the luxury Manhattan condos nearby. Seductive, alluring, and delightfully New York City, the ZAVO Mediterranean Restaurant makes sure to offer an authentic Mediterranean experience. The divine marble bar and outdoor terrace only begins to capture the atmosphere of this elegant five-star restaurant. The soft purple-toned lighting sets an atmospheric mood, embracing the delicateness and magic of Mediterranean cuisine. Menus are available for brunch, lunch, show time, and dinner. The show time menu is for a special event celebration, with Tuna Tartare with avocado, the Crispy Calamari, and Lobster Bisque. The restaurant also has a private dining lounge and piano bar upstairs for select guests. ZAVO recently earned the Diners Choice Award from Open Table. The Casablanca Grill adapts a very different kind of Mediterranean energy. Borrowing more from the casual seafood spots on the water and the small-village eateries of Morocco, this grill seems pulled right from the region. It has a wide selection of Middle Eastern specialties, including babaganoush, stuffed grape leaves as an entrée, falafal, and hummus. All the major staples of Mediterranean eating are well-represented, delivered with an authentic charm that comes from the casual diners of the region. You can find wraps, soups, appetizers, desserts, and more. Moussaka, tabbouleh, and the generous 10-ball falafel help as an introduction to some of the larger entrée options. 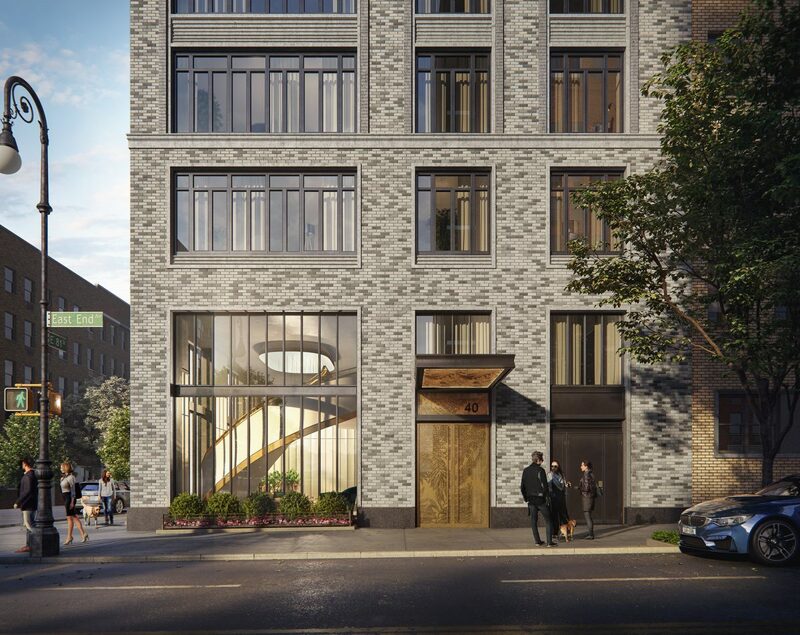 The Casablanca Grill will even deliver to Upper East Side condos. You can find the spot at 1132 1st Ave. This upscale eatery has a location near our Upper East Side condos is a defining choice for visiting museum-goers and locals seeking a quiet and reflective location for upscale Mediterranean. The Fig & Olive has an authentically-relaxed ambiance despite its elegant beauty. The refined dinner menu features Chilean Sea Bass, Paella Noir with scallop, shrimp, and squid ink rice, and the Filet Mignon. The meat is grass fed or organic, giving the Fig & OIive an extra layer of quality, while vegetarian dishes such as the signature Fig and Olive salad or Kale and Quinoa salad are hearty and made with ingredients from select farms. Generous appetizers, such as the mushroom croquette with truffle aioli and the marinated olives, seem designed for the sole purpose of sharing. With multiple locations in the country, the restaurant has proven its value in the world of quality Mediterranean eating. These restaurants represent the best of Mediterranean culture right in the Upper East Side without having to travel across the ocean. It’s a delightful selection of some of the many modern dining destinations that have continued to shape the Upper East Side into more of a dynamic culinary destination lately. The hard to find mix of both trendy and long-lasting restaurants right outside of the Upper East Side condos at 40 East End is one of the many reasons why this classic neighborhood has become a preferred destination for influential new residents of all backgrounds. New York City’s Upper East Side is widely known for its art scene. It is home to some of the most impressive museums in the world, with collections that span continents, genres, and eras. From world-renowned museums to hip independent galleries, this neighborhood has it all, along with Upper East Side luxury New York condos that fit the bill. When you live at Upper East Side condominiums, you’ll have easy access to the multitude of art attractions this posh borough of Manhattan has to offer. A mile due west of 40 East End luxury New York condos on the edge of Central Park lies the Met, one of the world’s best-loved museums. About 17,000 people come through its doors every day to enjoy the works that fill this Beaux-Arts-style building. The Upper East Side’s Metropolitan Museum of Art is known for its world-class art collections, astounding architecture, and fun. Here, you’ll find art that spans eras – flints from around 300,000 BC, an ancient Egypt exhibit, and antique furniture in the American wing. The Met also has a number of programs for both children and adults, including teen art programs and a residency for artists committed to social change. When you’ve seen enough Monet, head up to the rooftop bar-café, which has stunning views of Central Park – who knows, you may even spot some Upper East Side condominiums from here. The Solomon R. Guggenheim Museum sits in one of the most unique buildings in the city, a cylindrical structure that serves as an ode to its purpose: a hub for art, ideas, and innovation. Named a National Historic Landmark in 2008, the building alone draws visitors from around the world. Besides the incredible architecture, the Guggenheim has diverse collections of art. Like many American museums, the Guggenheim was established to preserve the private collection of its founder, opening its doors to the public in the mid-1900s. The Guggenheim is home to mostly non-objective – abstract, geometric – art, like that of Kandinsky. It’s no surprise that art aficionados gravitate toward Upper East Side condominiums, with their proximity to the most extensive and diverse exhibits in the city. Looking for art to cover the walls of one of our luxury New York condos? Sotheby’s gallery and auction house buys, sells, and exhibits art from around the world. As one of the top things to do in Upper East Side for art lovers, Sotheby’s has 80 locations in 50 countries. Fortunately for residents of Upper East Side condominiums, one of those is right around the corner. At their uptown New York City location, you can get a taste of the art they collect – and a perfect cappuccino and warm panini at their on-site café, the Sant Ambroeus Coffee Bar. The auction house hosts regular events, including lectures, receptions, and wine tastings. These give visitors and potential buyers a chance to learn about both the works of art and the interesting people that own them. Sotheby’s is on the river side of the Upper East Side, 10 blocks south of our luxury New York condos. These three incredible art attractions, located just a short distance from our luxury New York condos, are a great place to start your art crawl. With so many renowned galleries by our Upper East Side condominiums along the river, you’ll have a tough time choosing where to begin. For information and availability, give us a call today at 212.682.4033. 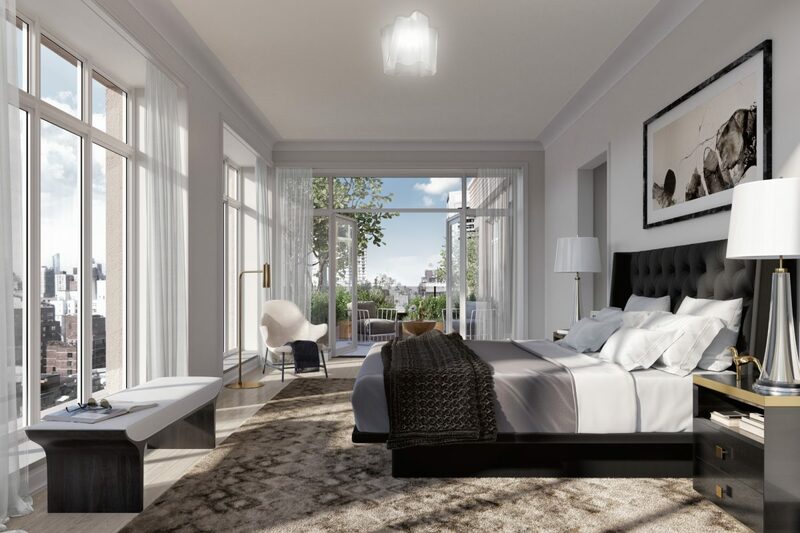 When you live uptown in East Side condominiums, your weekends probably involve wining and dining, seeing a Broadway show, perusing galleries, and, of course, taking a stroll in Central Park. But, this famous park isn’t the only green space in the city that’s worth a visit. In fact, New York City has about 28,000 acres of public parkland – and Central Park is just three percent of it. Below are just a few of the many Upper East Side parks that are worth a weekend jaunt from your new residence at our luxury New York condos. Perhaps one of the city’s best-kept secrets, this scenic park runs along East River, between 84th and 90th streets. Because it’s a mere half-hour trip from Manhattan, it’s the perfect escape from the bustling streets of the city. In the summertime, enjoy the bright, fragrant seasonal blooms that decorate the park. In the fall, enjoy the crisp air and the cool breeze that comes from the Hudson. This is an excellent park equipped with age-specific playgrounds, as well as basketball and handball courts. There is an off-leash dog run, as well as plenty of space for your pets to roam. Be sure to bring a snack or two from your East Side condominiums kitchen, as there’s no food sold on the grounds nor at the park entrance. A few blocks south of Carl Schurz lies another park with a name: John Jay. This is yet another within five minutes of our luxury New York condos at 40 East End. This community park is a popular place, so be prepared for company. If you’re looking for a Sunday stroll or an afternoon of reading, this may not be the park for you. The park has everything an active child – or adult, for that matter – could want: basketball and handball courts, playgrounds for different ages, outdoor gym equipment, and even a pool. There is also a wading pool and splash pad for kids to enjoy during the summer months, as well as tables for picnics. Our East Side condominiums have many amenities available, but nothing can replace spending a summer day outside at the park. The East River Esplanade runs north-south along the river between 36th and 41st streets. The municipal park was acquired by the city in 1939 when the highway is built, and is an important part of the city’s greenway. East River Esplanade begins a number of blocks south of East Side condominiums, stretching a few miles along the water. This park is the perfect place to have a picnic, shoot a few hoops, try your hand at handball, and watch while the kids hang from monkey bars and zoom down the slides. The attached path is a fantastic bike trail that offers miles of smooth, flat sailing along the river, just behind luxury New York condos. While there are plenty of things to do in the Upper East Side of Manhattan, every so often we need a reminder of the importance of getting outside – whether you’re new to luxury New York condos or a city lifer. For more information about the parks, paths, and other public green spaces near to our East Side condominiums, give us a call today at 212 682 4033. Living in luxury East Side condominiums at 40 East End is an experience, not just a home. New York City’s Upper East Side has no shortage of lavish residences. 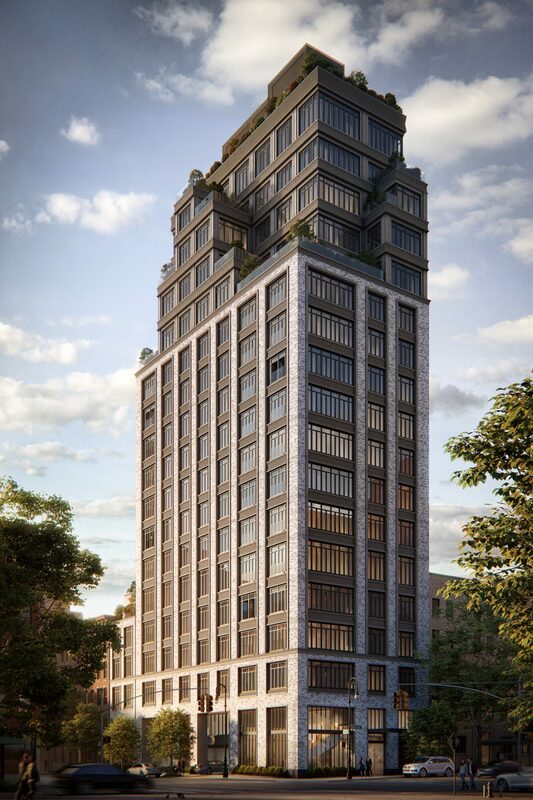 So, why choose 40 East End luxury New York City condominiums to call home? From its convenient uptown location to its lavish décor, our condominiums help residents achieve a high quality of living. Here are a few reasons why our East Side condominiums are must-sees for those who want a posh condo right in the heart of the city. Good space design is key to living a comfortable, productive lifestyle. Our made-to-order homes are designed with both luxury and functionality in mind. 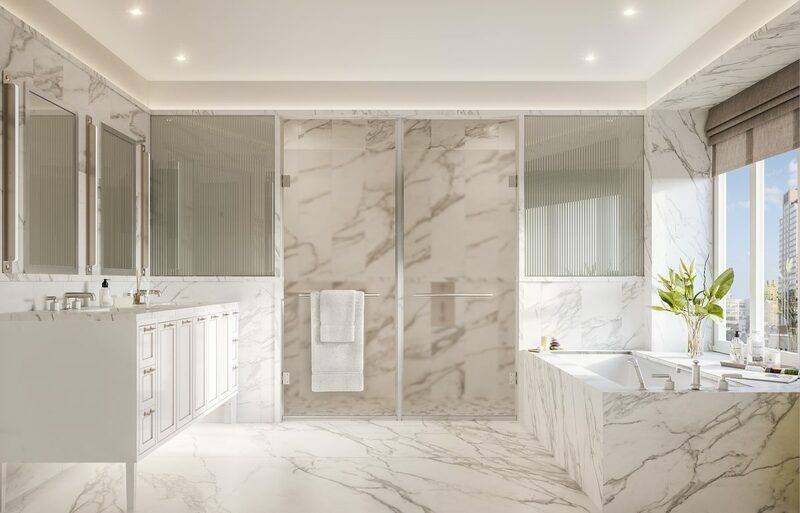 Our Upper East Side condominiums were designed by Deborah Berke, an acclaimed New York-based architect who has served as the dean of the Yale School of Architecture since 2016. To her, the details matter. The layout aims to maximize natural light, optimize city views, and create an equilibrium of communal and private spaces. A large marble-slab island fills the open-concept kitchen – a perfect setting for a dinner party or get together. We have available both two- and three-bedroom unit available, as well as a penthouse and larger residences. Each has two or three bathrooms and an additional powder room for comfort and convenience. 40 East End offers everything you want from luxury New York City condominiums. Here, you have access to a number of exclusive amenities that follow the same theme as our design: luxurious and functional. The Parlor Lounge offers high-ceilings, iconic black-and-white marble flooring, and luxe vintage-style furniture, and a wet bar off to the side. The building has its very own library, filled with books, shared tables for studying, and comfortable seating for digging into your next great biography. Work from home on occasion? Head down to The Library for a quiet space out of the house. When it comes to socializing, 40 East End has got you covered. 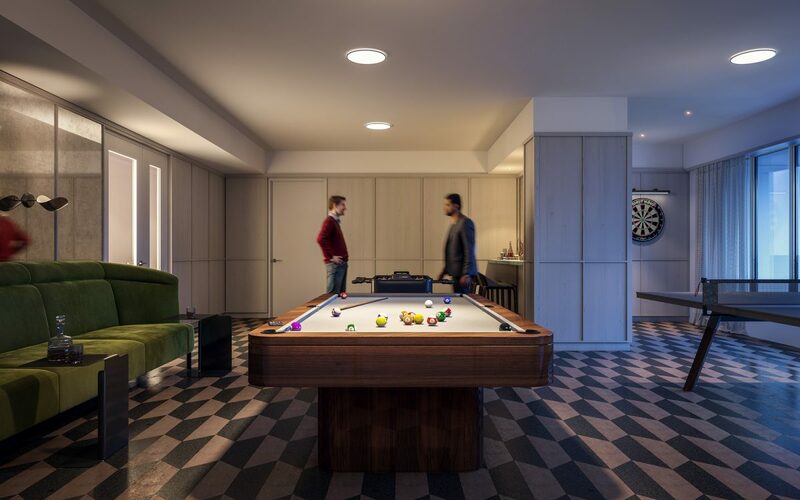 The Game Room has a foosball table, billiards, ping pong, and a dartboard so you can challenge friends to a game or two on Saturday night. The building also has a catering kitchen and space that can be booked for private events hosted at luxury New York City condominiums. 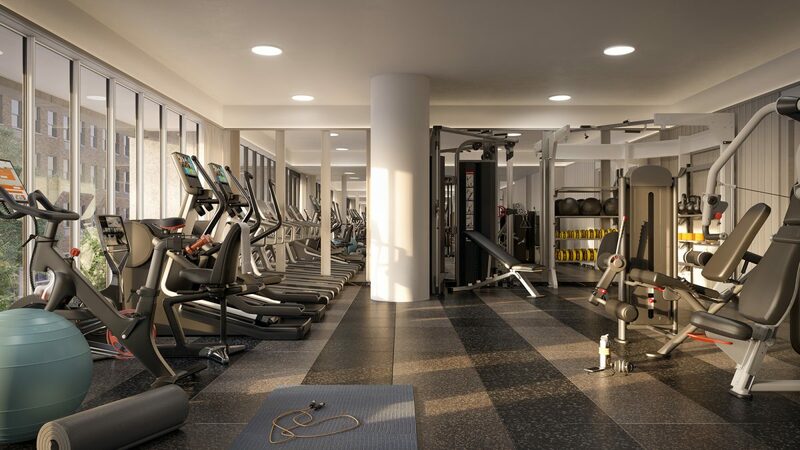 New York has no shortage of fitness facilities, but we know that it’s easier to keep up good habits when they’re in the same complex as East Side condominiums – right at your fingertips. The Fitness Center offers an opportunity to stay in shape without leaving the comfort of your home. State-of-the-art equipment, weights, and other tools to help you lead a healthy, active lifestyle. Here at 40 East End, you’ll feel at home from the moment you come in the door of our luxury New York City condominiums. From your impressive, multi-bedroom condominium to the building’s communal spaces, you’ll enjoy the amenities of a hotel, but with the comfort of a home. Our East Side condominiums are located along the shores of East River, near renowned uptown restaurants and art attractions, and within moments of Central Park. Living at 40 East End gives you luxury and convenience, inside and out. Manhattan’s Upper East Side condos are sought-after residences ­– and with good reason. Fondly known for its diversity of neighborhoods, art galleries, trendy boutiques, and acres of green space, this New York City borough has something for everyone around the corner from our luxury Manhattan condominiums at 40 East End. This area of the city is known to some of the world’s best museums, galleries, and art schools. 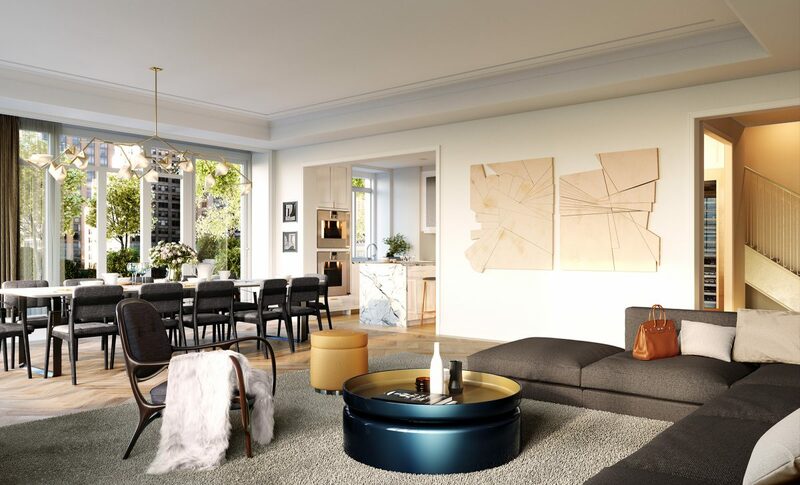 Artists and art lovers alike will love having a plethora of art and culture to explore in the urban backyard of luxury Manhattan condominiums. From the world-renowned Metropolitan Museum of Art and the Guggenheim to smaller, independent galleries that feature up-and-coming artists, the Upper East Side is a feast for the eyes and ears – not to mention taste buds. Downtown Manhattan might have hip international fusions, but the area around our East Side condos has its brand of dining, too: classic, upscale restaurants museum-goers love. Many Upper East Side restaurants have been there for years. If downtown is new and cool, uptown exudes an agelessness you’ll find on the top floor of a museum, in a white tablecloth-draped dining room, and sitting at a painted wood two-top at an Italian sandwich bar. While no big city is crime-free, our luxury Manhattan condominiums were built in some of the safest areas in New York. A far cry from Times Square or downtown Brooklyn, where crime is more prevalent, many Upper East Side neighborhoods have some of the lowest crime rates in New York. Known historically as the “silk stocking district,” this area of town is upper-class and much quieter than other parts of the city. New York City is dotted with an impressive number of public parks given its one of the biggest cities in the world. When it comes to green space, you can’t beat living at our East Side condos right along the East River. Of course, Central Park is a huge draw to both the east and west sides of Manhattan, but the UES has incomparable access to many lesser known outdoor spaces. Upper East Side parks include the public Conservatory Gardens on 5th Avenue, Carl Schurz Park along the East River, and a number of smaller recreation facilities. From this side of the city, you have quick access to Roosevelt Island and the East River Esplanade, perfect for cycling and jogging right nearby luxury Manhattan condominiums.